Other top gainers on the TSXV last week were Komet Resources, Kore Mining, Kingsmen Resources and Los Andes Copper. At the end of last week, the S&P/TSX Venture Composite Index (INDEXTSI:JX) was trading fairly flat reaching 624.08 points by Friday (March 29) — a gain of 1.41 points, or 0.23 percent. Looking at commodities, base metals enjoyed a bump in value as Vale’s (NYSE:VALE) woes bit harder and harder, while gold took a small tumble. Around the world, news was dominated by noise out of the US as Robert Mueller released his report on Russian meddling, while the UK parliament continued to say no to every Brexit option on the table. Read on to find out what each company has been up to. Komet is a gold-mining and exploration company with its sights set on West Africa, where it has projects in Burkina Faso and Mali. Earlier in March, the company released a technical report for its Kabaya target, located with its Dabia Sud property in Mali. Komet said the report helps back up its previously released initial mineral resource estimate for Kabaya. On the TSXV, Komet’s share price was up by 66.67 percent by last Friday, trading at C$0.20. Cantex has properties in Canada, the US and Yemen. Its primary project is 100 kilometers northeast of Mayo, the Yukon, where Cantex has 1,075 claims covering over 20,000 hectares. At the beginning of this year, Cantex announced it was preparing for an exploration program at its North Rakla claims in the Yukon, where it will be drilling three holes searching for silver-lead–zinc mineralization. Since then, Cantex has been announcing private-placement news through February and March, with proceeds intended to go towards operations. On the TSXV last week, Cantex was trading up by 47.59 percent at C$2.45. Sitting on “multimillion-ounce gold development opportunities,” Kore Mining is focused on precious metals development projects in North America, with 100 percent ownership of the Imperial (US) and Long Valley (Canada) gold projects, as well as two others. News in 2019 has been slim. 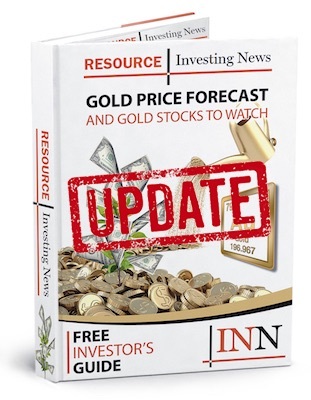 So far, Kore Mining has announced advisorial appointments and granted stock options in its last release, and earlier in the year it announced it had intersected copper and iron sulfides at its FG gold interest in Canada. In Toronto, Kore Mining was up by 40.54 percent, trading at C$0.23 by last Friday. Los Andes controls what it calls the largest copper deposit in the Americas that is not owned by the majors: the Vizcachitas project in Chile, which has an indicated resource of 8.5 billion pounds of the red metal. The company hasn’t released any major news in 2019, with its last news way back in 2018 about private placements for general operations. On the TSXV, Los Andes Copper was trading at C$0.25 by Friday, up by 31.58 percent for the week. Kingsmen is an exploration and development company with a focus on its La Trini silver project in Jalisco, Mexico. The company is focused on expanding La Trini’s mineral resource, which currently sits at 6.48 million ounces of silver and a little under 50,000 ounces of gold. Despite releasing no news, on the TSXV last week, Kingsmen was up by 24.07 percent, trading at C$0.67. Data for 5 Top Weekly TSX Stocks articles is retrieved each Friday at 10:30 a.m. PST using TradingView’s Stock Screener. Only companies with market capitalizations greater than C$10 million prior to the week’s gains are included. Companies within the basic materials and energy sectors are considered.